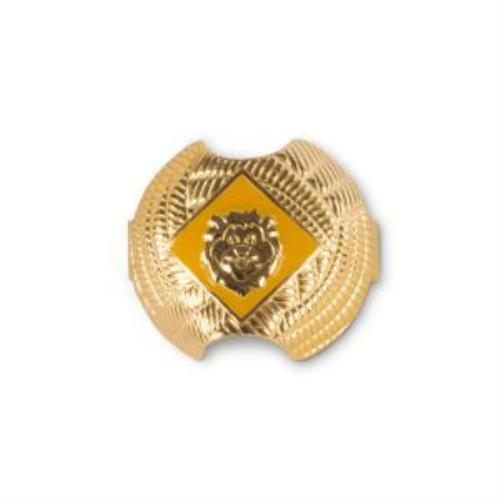 The uniform is an essential component of Cub Scouting, and are to be worn with pride at all scouting functions, unless the activity uniform (Pack T-shirt) has been approved by your CUbmaster or Den Leader). Uniforms are to be kept clean and tidy. Shirttails are to be kept tucked in at all times (Women’s shirts that are made to be un-tucked are ok). Pack 276 has two approved uniforms for each member of the pack; class "A" and "B". Class A uniforms are used during pack and den meetings and when representing pack 276. Class B uniforms can be wore when approved by the Cubmaster or Den Leader. In either case, a scout should always present a neat appearance. Scouts may substitute the BSA pants/shorts with dark blue or blue jeans. Please no plaid, sports shorts, camouflage or sweats are to be worn with your uniform. We thrive for a clean, sharp, uniform look. 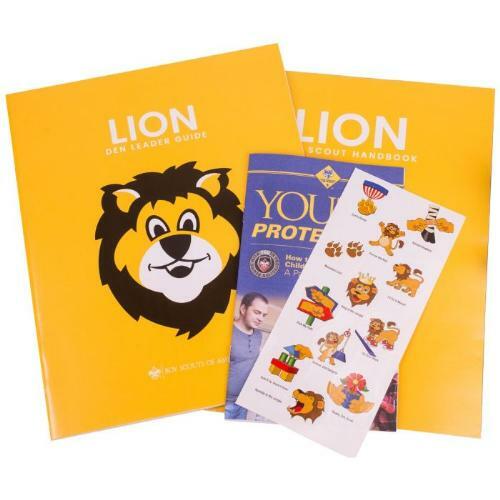 New to Pack 276 this year is Lion scouts who are kindergartners. We are so excited! I just want to make some uniform things clear. The Lion slide, neckerchief and NEW 2018 handbook look like these below. The handbook is different than the 2017 one, when the program was still a pilot, so be sure to get the correct ones. 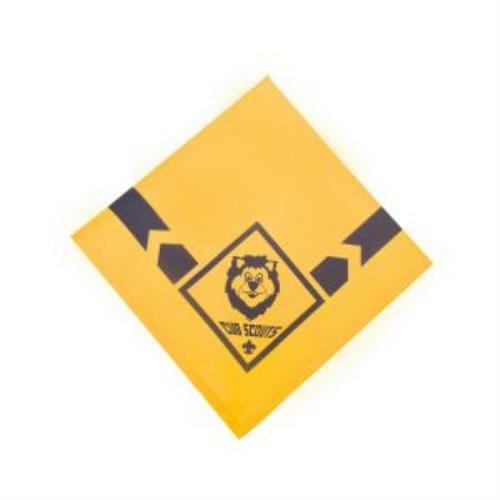 The neckerchief is the same color as the wolf neckerchief, again be sure to get the correct one. 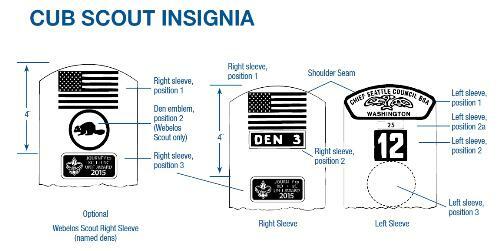 Also, as Lions, each pack has the option to where the Lion t-shirt OR to get the blue Cub Scout button up shirt. Our Pack has decided to go with the button up. You are welcome to purchase the t-shirt, but please know that to be in uniform your scout will need the button up. 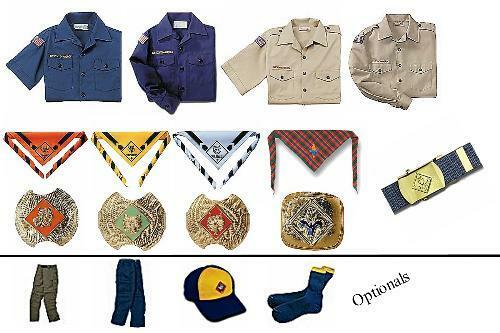 Below are the uniforms for Tiger, Wolf, Bear & Webelos. 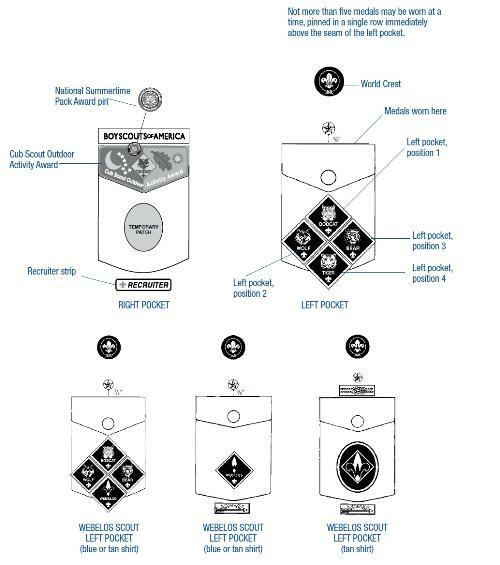 Please note that new for 2018-2019 scout year, all Webelos are to be in the tan uniform, regardless if they are a 1st year Webelos (4th grade) or the 2nd year Arrow of Light (5th grade). Get it big so they may wear it for a few more years, it is the same uniform as they will wear when they cross over to a Scout Troop. Also, this new this year are the handbooks. The covers should like like those below. It is our understanding that the only difference between this year and last years copies is that they changed the wording and some pictures with the addition of Girls in Cub Scouts this year. We would still recommend this newest one to be safe!